Warren's Congressional forums will hear from economists about how to help families rebuild economic security. (Bloomberg Politics) — On Tuesday afternoon, only 91 people were watching Senator Elizabeth Warren’s YouTube live stream when she asked Jared Bernstein of the Center on Budget and Policy Priorities a pointed question about retirement and savings. That’s not many viewers, nor was it the sexiest subject. 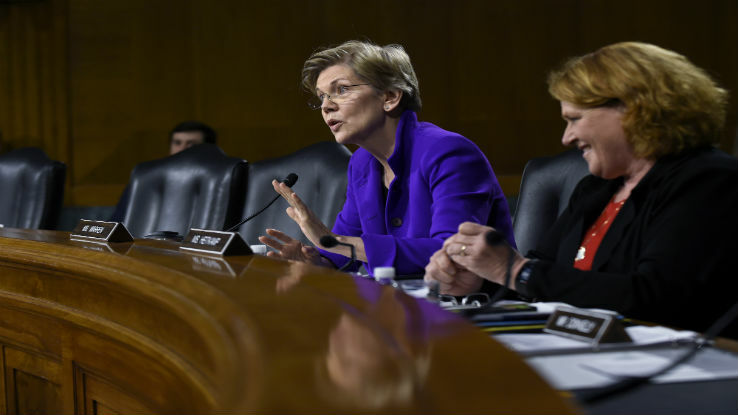 But Warren, wearing a forceful and perhaps symbolic purple while presiding over the first congressional forum of her Middle Class Prosperity Project, doesn’t seem to mind being far away from the action. The project, announced jointly with Representative Elijah Cummings, a Democrat of Maryland on MSNBC’s “Morning Joe” Tuesday morning, was all about getting as far from the White House and Congress as possible. Not long after their article was published, the first such forum began, with Dr. Jared Bernstein, Senior Fellow at the Center on Budget and Policy Priorities: Dr. Beth Ann Bovino, U.S. Chief Economist at Standard & Poor’s Rating Services; Dr. Gerald Jaynes, Professor of Economics and African American Studies at Yale University; and Dr. Joseph E. Stiglitz, University Professor at Columbia University. As Warren posed a question to Bernstein, the room looked like a sad delegation: planks of wood and people in suits. Few seemed riveted. But she asked a question about an initiative that Obama announced Monday, in his speech to the AARP, a plan to protect retirement savings through tighter regulations. Doubtless Bernstein knew that this was the person who sat behind the president during his speech. Such is Warren’s power, this role that she’s carved out for herself: lender-of-advice to Hillary, careful watchdog of Barack, the holder of the Democratic Party. They all know that her disapproval matters.